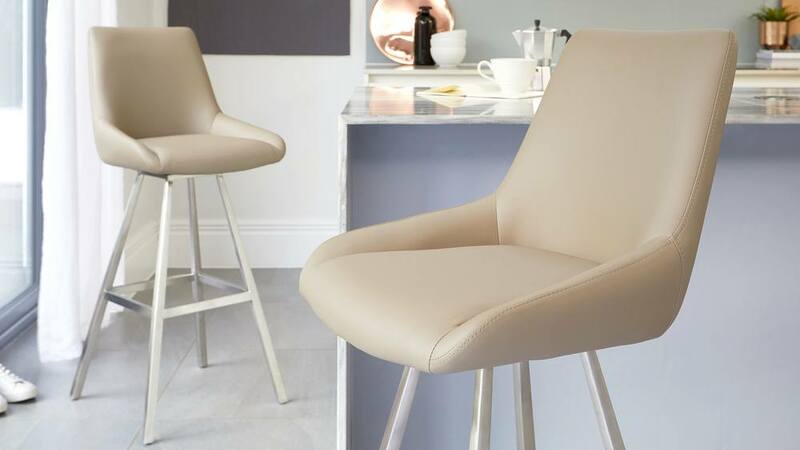 The Theo bar stool has a smooth swivel function which not only helps you get in and out of the seat, but it's also self-righting. This, along with the smooth faux leather upholstery and stainless steel base, keeps the Theo stools looking uniform in your space. 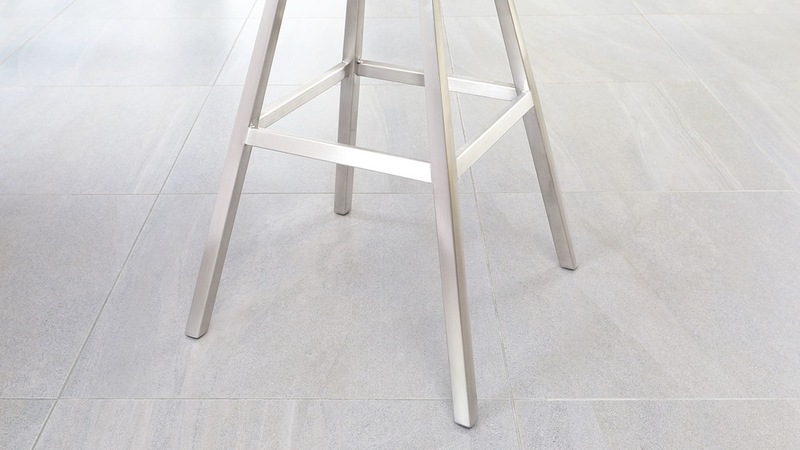 The Theo is a fixed height bar stool, however, the seat has a useful swivel function. 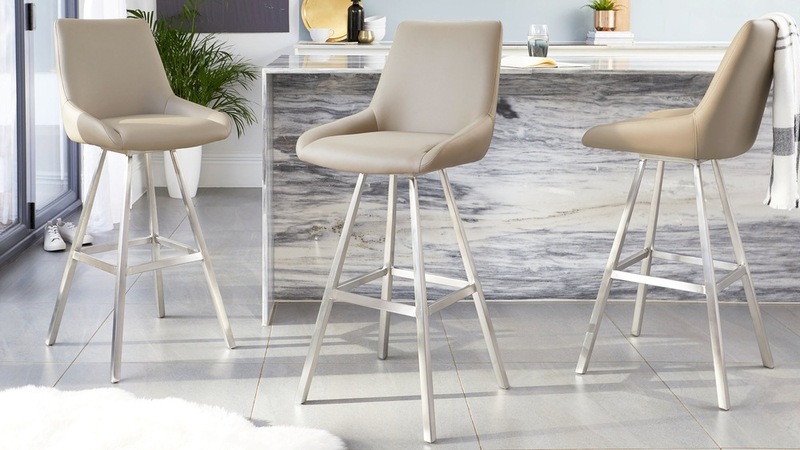 It's a 'self righting' swivel which means it will twist back to its original position, making this bar stool very accommodating. 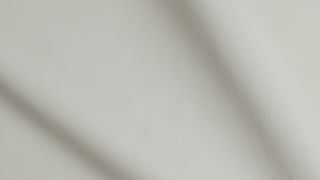 The Theo stool has a more generous feel because of the shape of the seat. 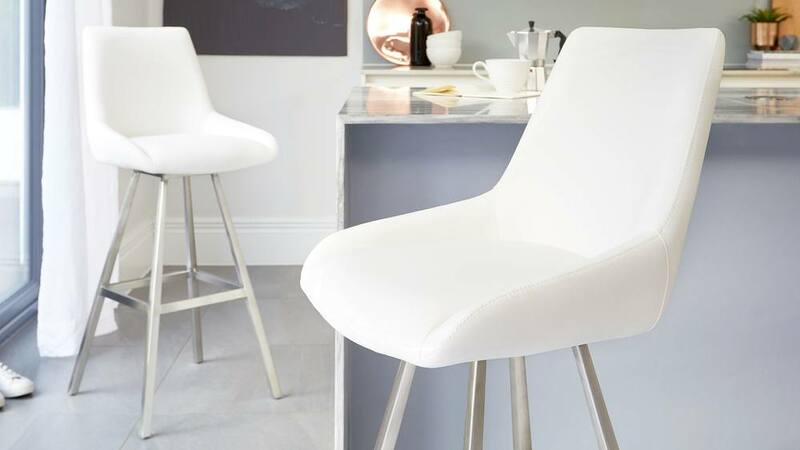 The curved sides, high back and comfy padding mean you can sit comfortably for much longer around your breakfast bar. The static legs of the Theo are finished in stainless steel. 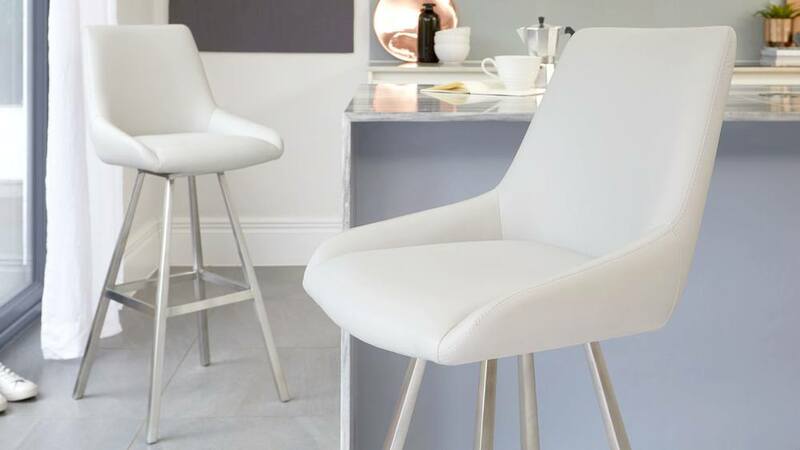 A subtler finish than chrome, stainless steel is incredibly easy to clean and maintain, making it a great material choice for something as often used as a bar stool. 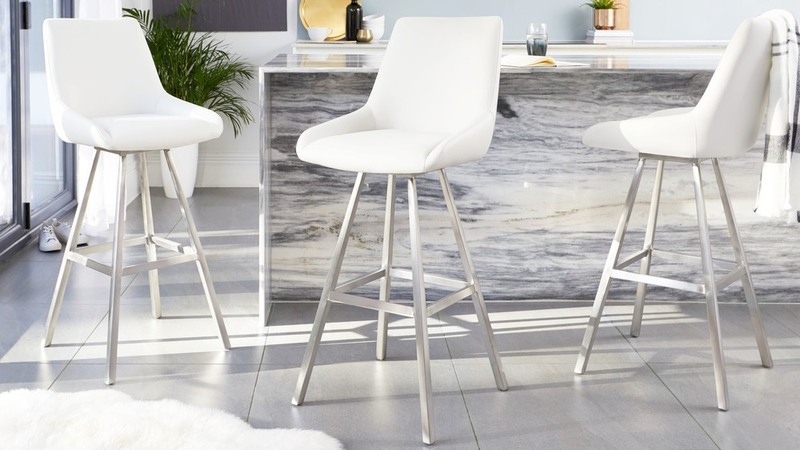 To create a seamlessly coordinated space, we suggest styling the Theo Bar Stool with the matching Theo Dining Chair.